Capacity-maximizing design provides plenty of storage space. Side handle grips deliver hassle-free portability. 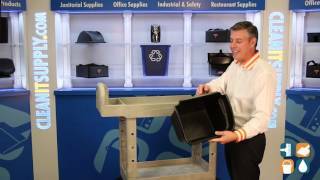 Smooth, easy-to-clean surface simplifies maintaining workstation neatness. 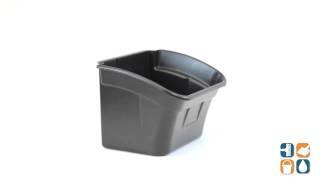 Boxes & Bins Type: Open; Width: 17"; Depth: 12 1/8".